ACC has discovered they’ve charged incorrect levies to business customers since 2002. In the meantime while ACC work through the refund process, you can visit this website to see if you will be affected by this error. 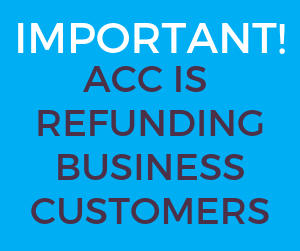 ACC are expecting to start refunding this month, but it may take until April 2019 to complete the refund process.